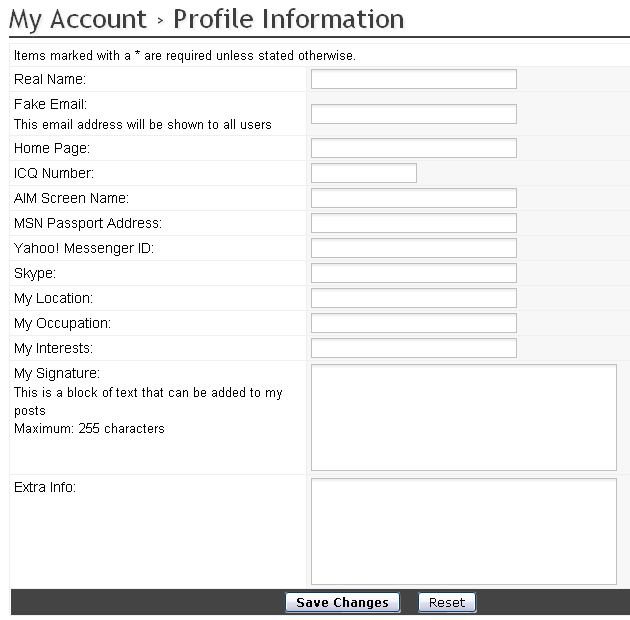 From the User Info box top left, once logged in to your website account, click My Account and then My Profile Information from the My Account Tools menu of options. Here you can fill in lots of information about yourself, although most of it is only used in the forums. Note: none of this relates to your Player profile, which is a separate record in the database. This is simply your website account for accessing the forums and possibly other areas of the website (although you do need a website account before you can create a Player profile).